8.30am – Illawarra Birders Inc. will be giving a free guided bird watching walk along the dunes at Werri Beach. Bring your binoculars and discover the range of native species of birds calling the dune vegetation home. Wear sturdy shoes, hat, bring water and sunscreen. Illawarra Birders Club encourages anyone from beginners to experts to become involved in bird watching. The group also supports and assists conservation projects through active cooperation with local, State and national organisations. Promotes individual and cooperative field research. Studies and record birds within the Illawarra region and support the publication of reliable and systematic information. Has close links with other birding organisations. 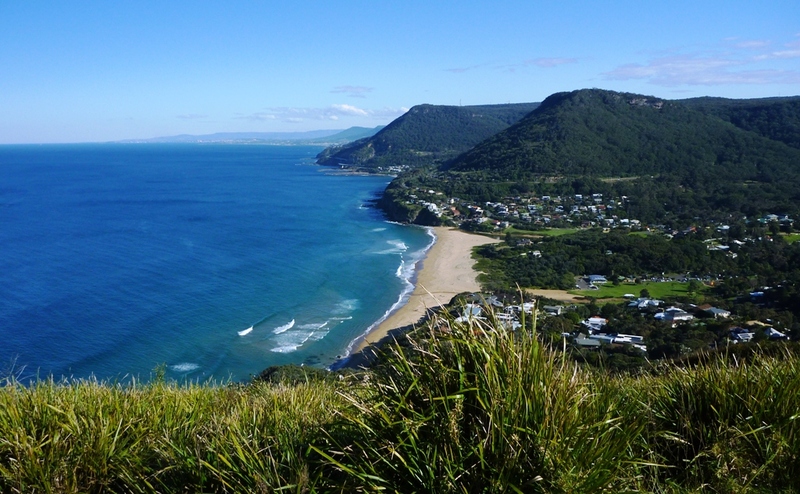 9am – Guided Coastal Walk will depart Loves Bay. Enjoy a walk along the Kiama Coastal Walk and hear about the history of coastal vegetation in the region. The walk will highlight the importance of native species and habitat for local fauna. 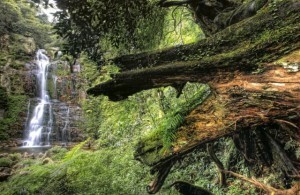 Visit pockets of remnant coastal rainforest, an indication of the types of plants which used to cover our coastal areas. Approx 3hrs one way walk ending at Werri Beach. Grade – moderate. Note there is very little shade available, wear sturdy shoes, sun protection and bring plenty of water. BOOKINGS ESSENTIAL – Places are limited contact Megan 4229 7526 to book onto the walk. Note: In the event of the lagoon at Werri Beach being open to the ocean, the walk will be closed, and therefore a guided walk will be given around the lagoon to the headland at the Southern end of Werri Beach. 9.30am ~10.30am – Dunecare session with Conservation Volunteers. Get your hands dirty! Come and join a team of Dunecare volunteers and help carry out a range of restoration activities including planting native dune species, identifying and removing threatening weeds from the ecosystem. Please wear closed in shoes, long sleeves and long pants, hat and bring some gloves. All tools will be provided. This activity will be guided by a Conservation Volunteers team leader. 10am~12pm – The Gerringong Lions will be serving up bacon and egg rolls from 10am, complimentary tea and coffee in the hall. 10am~2pm – Registrations open and activities commence for the family sand sculpting competition. Registrations taken outside the progress hall at the registration desk and activities will be held down on the sand on Werri Beach. The theme ‘Ocean Animals’. Some buckets and spades will be provided to share with other participants or bring your own. First prize ~ Body Board donated by Natural Necessity Surf Shop Gerringong! Other great prizes up for grabs. 10am~11am – WIRES Snakes Alive presentation! Hear from local WIRES member Hugh Marriott about the range of species, with a focus on snakes, you are likely to see on your Landcare or Bushcare site or even in your backyard. Learn about what to do if you come across injured wildlife and how best to manage fauna on your site. This activity will occur in the marquee outside the progress hall. 11am~12pm – Frogs, Frogs and more FROGS! Hear from local expert Michael Fox about the range of frog species as well as other reptiles we have here in the Illawarra. Learn about endangered species and why they are now endangered as well as ways you can help these adorable creatures back into existence. This activity will be held in the marquee outside the progress hall. 1pm~1.30pm – Historical photo display talk with local resident. Hear about the history of the local area and enjoy a slideshow if some amazing historical photos of the Gerringong and Gerroa area through time. Activity will be held inside the progress hall. 1.30pm – ‘What weed is that?’ feel free to bring samples of weeds from your landcare site or garden to have identified by local Landcare experts. You can ask questions about how to manage certain species, collect a range of free information resources to help you identify species, and also learn about native alternative plant species you can plant instead of potentially invasive ones. This activity will be held inside the progress hall. 3pm – Regional photography competition winners announced and Sand sculpting winners announced. 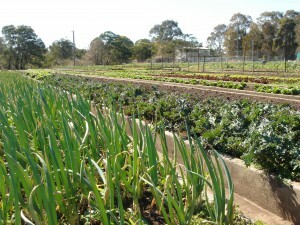 Regional Food Cooperatives – Sample a range of organic foods and purchase items you can order on a regular basis from your local food cooperatives from ‘Illawarra Flame Tree’ the north and ‘The Green Box’ in the south. Native nurseries stalls – purchase native species from local nurseries from the Illawarra region or seek advice on what plant species are appropriate for your site or garden at home. Landcare T-shirt and Bag stall – Landcare bags and T-shirts will be available in exchange for a gold coin donation for bags and a $5 donation for T-Shirts. All donations will go towards Landcare projects in the Illawarra. Landcare/Bushcare displays – learn about local groups and their projects and how you can become involved! Other NRM organisations and local Council displays – learn about regional projects different natural resource management organisations and local councils are carrying out. Historical photos of the Gerringong-Gerroa region – a slide show of regional historical photographs will be on display all day. To ask questions attend the information session at 1pm in the progress hall. Entries for the ‘Images of the Illawarra’ regional photography competition will be on display in the progress hall on the day. Judging and announcements of the winners will also be carried out on the day. Free face painting for the kids! Our volunteer face painter will be on hand throughout the day to carry out face painting for the kids.